Today I am sharing a mixed media layout I created for photos from my recent manatee encounter! 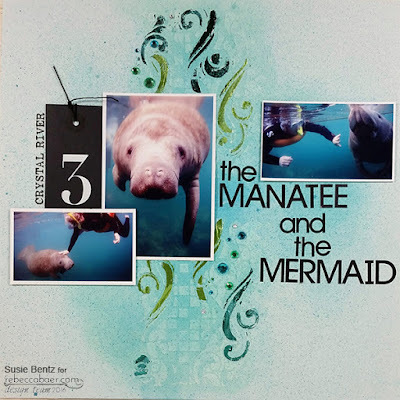 In March of this year we took a trip down to Florida to visit with the manatees in Crystal River. 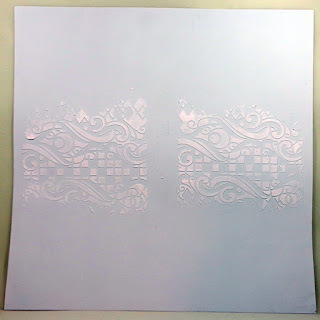 We had a fabulous time and I could not wait to scrapbook the pictures! 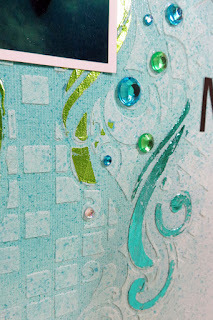 I started with the small sized Mosaic stencil from Rebecca Baer Designs because the swirls incorporated in the design reminded me of water currents! 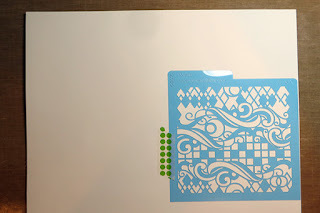 I centered the stencil along one edge of pastel aqua cardstock and used washi tape to hold it in place. 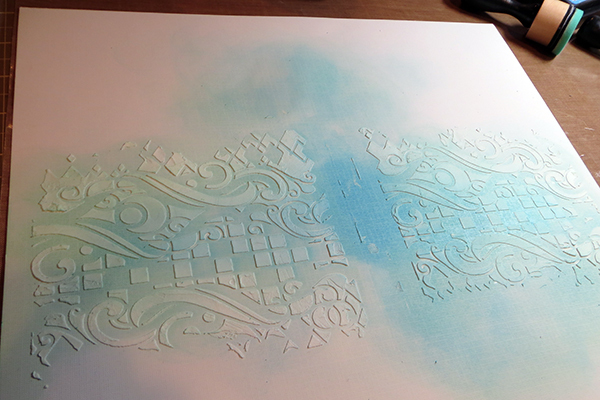 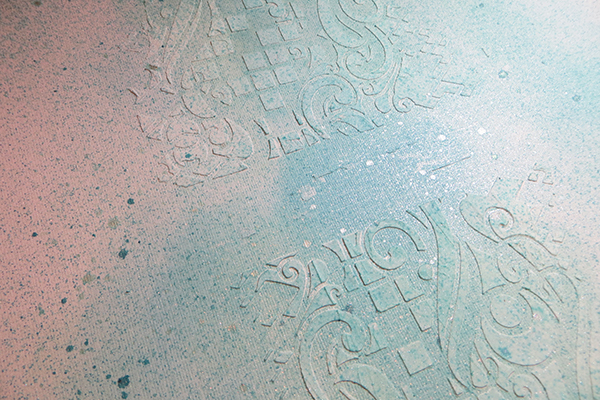 I pulled out my inks and blended blues and greens over and around the stenciled area. I spritzed a couple shades of Glimmer Mist across the layout to add a little shimmer and shine. I placed the stencil back on top of the design at this point and used a paint brush to apply Liquid Adhesive through some of the swirls in the stencil. 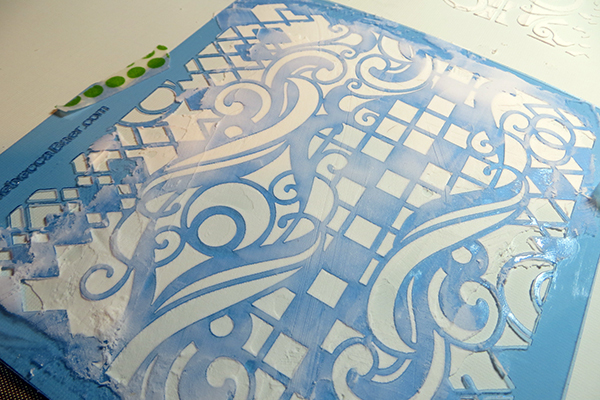 After a couple of hours it had dried to a tacky finish and I applied 2 different colors of Deco Foil, burnishing with my fingertips. 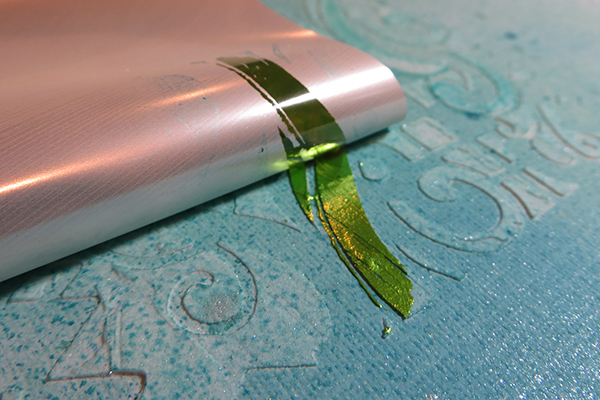 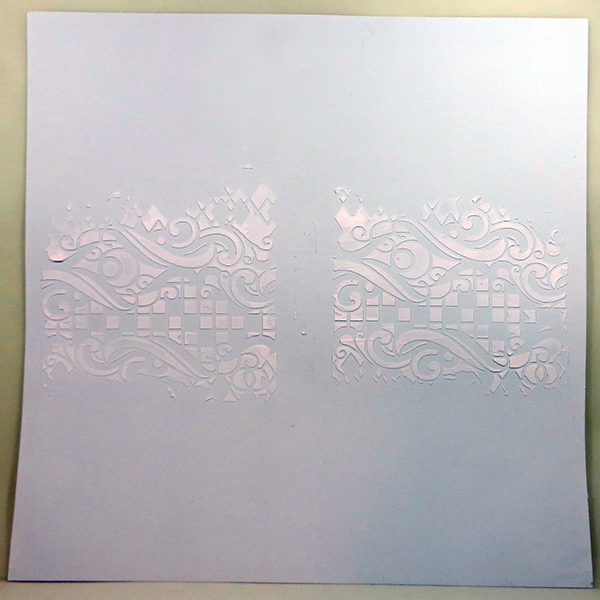 I love how the foil reveals the gorgeous details from the stencil! 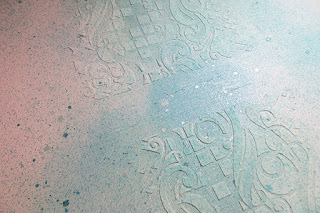 At this point I added my photos and the title. The finishing touch was a sprinkling of green, turquoise and irridescent rhinestones in 3 different sizes.